Outdoor lighting system that includes an SCC3 charge controller, the DAS1 and a 17AH battery in a utility box. 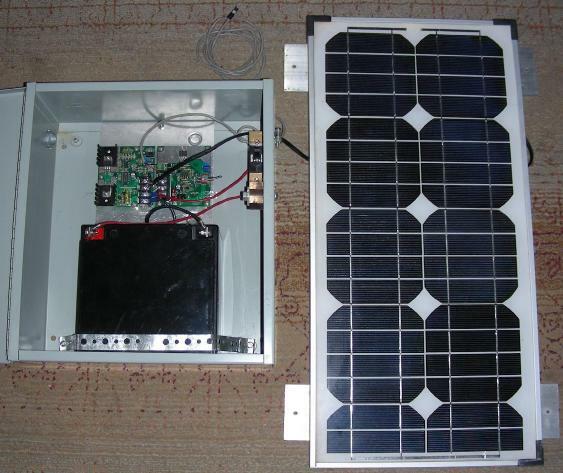 A 20 watt PV panel powers the setup. External LED lamps are not shown. The DAS1 wired in conjunction with an SCC3 charge controller and a 350mA LED lamp. 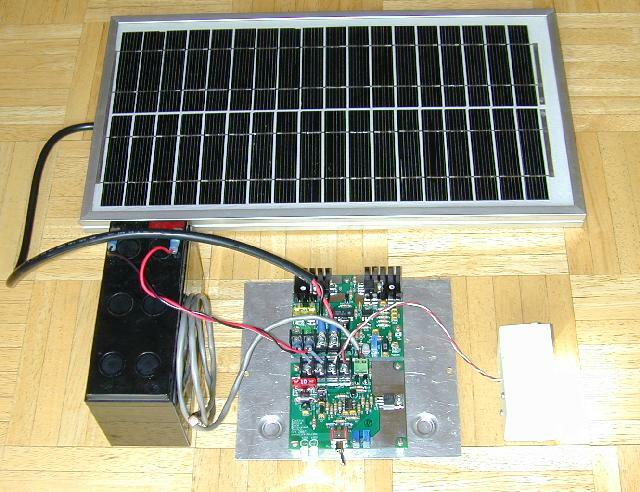 The SCC3 charges a 7AH battery with a 10 watt PV panel. 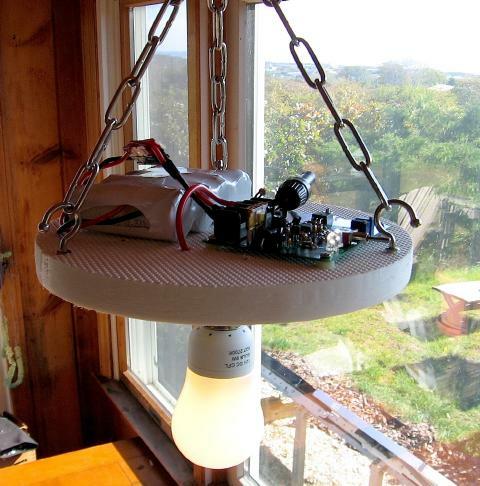 Customer Cliff Kalfaian's use of the DAS1 for powering a 12V compact fluorescent bulb, see the explanation for more info. Go Back to the DAS1 page.